YOU ARE STILL HERE...WALL STREET IS STILL HERE! DON'T YOU THINK IT'S TIME TO LEARN WALL STREET? Evelyn & Company provides investment education about Wall Street that establishes a foundation of learning to transform Wall Street knowledge into everyday practical know-how. Our professionals formulate a structure of education that empowers people to understand Wall Street; implement an investment plan; and financially benefit from investing on Wall Street. Get Your Wall Street Education Courses! The Wall Street Education courses answer the question, ‘What does Wall Street have to do with me?” Our courses provide participants a direct relationship to Wall Street, and how investing on Wall Street can contribute to financial stabilization, and generational wealth. Familiarize yourself with our education courses. 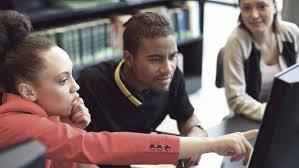 The Personalized Education Approach provides thought guidance in help ing you assess, plan and execute..